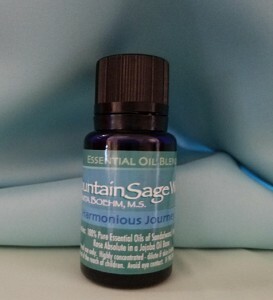 The intention of this essential oil blend is to create unification between the masculine and feminine energies where two hearts are beating as one. Sandalwood represents the masculine and the Rose oils represent the feminine. Both sandalwood and rose oils are spiritually connecting. Neroli enhances this blend because it is an essential oil that vibrates with the heart chakra and, historically, has been used to calm those who come into union through ceremony. Rose oils also vibrate with the heart chakra. Sandalwood is very grounding yet very connecting between the base chakra and the crown chakra. This is a critical time on the planet. It is important to find balance between opposite polar energies and connect spiritually. The collective consciousness needs our balanced states of mind and being to find centeredness and calm in the midst of chaos. As we “marry” and unify our Higher Self energies, we are assisting the planet to come to know unification. So Be It.